We blog on a variety of topics, from pet health care tips to funny things that happen to us at work. We add new postings weekly. Please leave comments and tell us what you think! For blog updates and other important pet health alerts, join our mailing list. Email us at info@foundersvet.com and we will add you to our VIP mailing list. 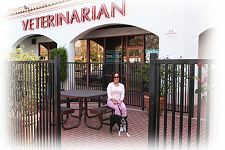 Holistic Veterinarians Serving Orange County, San Bernardino County, and Los Angeles County. believe their pets are an important part of their lives. clients receives a nutritional consultation as part of our exams. We want to be sure that your pet is eating the best diet possible. conservative policy on the use of vaccines based on age, risk factors , and exposure. DOG-Breath located in the left sidebar. long and healthy life with fewer visits to the veterinarian!